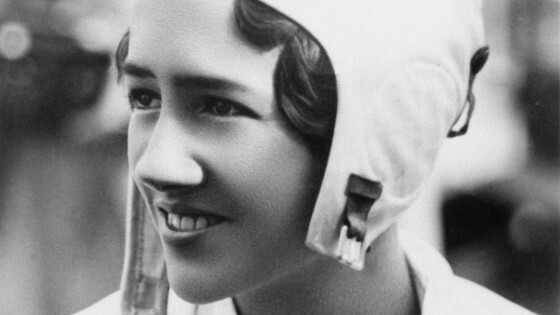 By marrying Charles Lindbergh, Anne Morrow finds celebrity and adventure, but also a lack of privacy. During their honeymoon America’s most famous couple is constantly pursued by the press. Anne and Charles have a child, build a new house, and set out as a flying team to explore aviation routes north to the Orient. They return home to tragedy. From Anne Morrow Lindbergh: You’ll Have the Sky, an award-winning PBS documentary narrated by Judith Light and Lily Rabe. Produced by PCK Media, c. 2017. Available for streaming, download, or on DVD from ShopPBS.org. ← 61st Annual New York Emmy Nominations!